6:15 Jimmy Mundane – A singer/songwriter from Carrolton. Jimmy has released 7 albums. He is a blend of Rock, Country, and Blues. 8:00 Doug Pinson & Route 23 – Currently the top Country band out of Louisville. Doug blends his skills as a songwriter, entertainer, and a top vocalist into a very exciting Country show. Noon Nizhoni’ Sky – Quickly becoming one of the areas most respected performers, Fred Kearns plays original Navajo flute songs. Put that together with a top notch band and mix in some original takes on Classic Rock songs, and you have one of the favorite bands to ever perform here. 1:45 Broken Dream – Shaun Cohorn is one of the best Power Blues guitarist in the State. They perform songs from Clapton, ZZ Top, and Stevie Ray Vaughn. 3:30 Ben Lacy & Alan McKenzie – The region’s most popular musician will be back this year. Ben has performed all over the world, and considered by many to be one of the best guitarist ever. 5:00 – 6:30 BBQ Contest and Pot Luck Dinner. Contestants will be judged on Ribs and Pulled Pork. Following the contest is a Pot Luck Dinner with BBQ Ribs and Pulled Pork sandwiches. 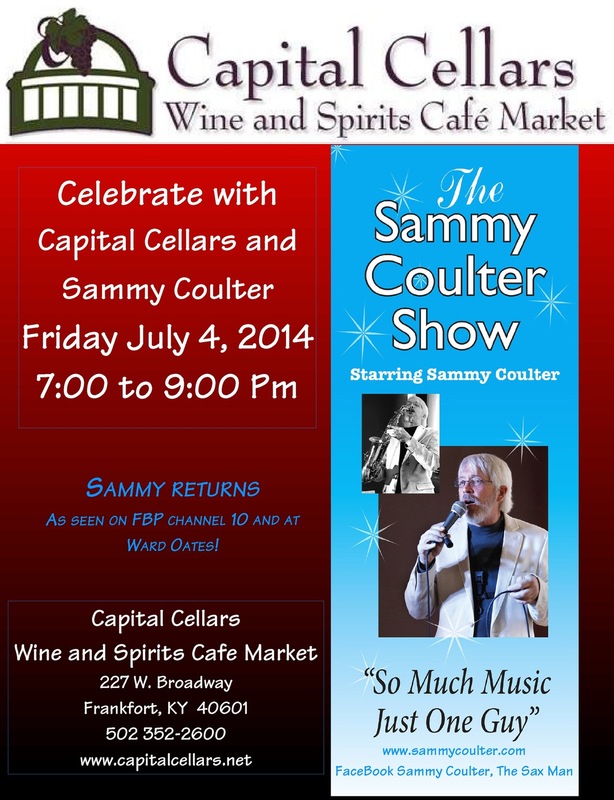 6:30 Sammy Coulter & Company – Sammy brings years of experience to put on a nice show of Jazz and Adult Contemporary. 8:15 Jimmy and The Slammers – An All Star Power Blues Band out of Lexington, Jimmy and the Slammers will have you dancing all night long. 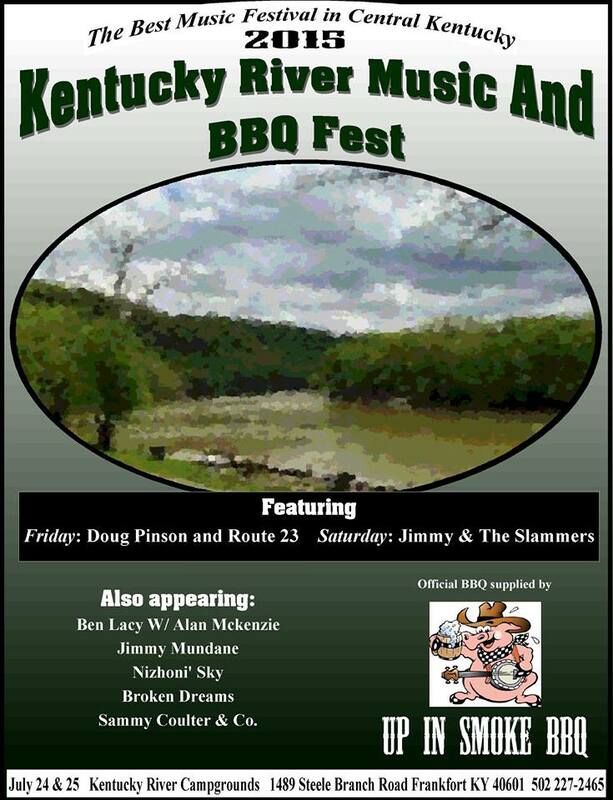 For more information checkout the Facebook page at Kentucky River Music and BBQ Fest. 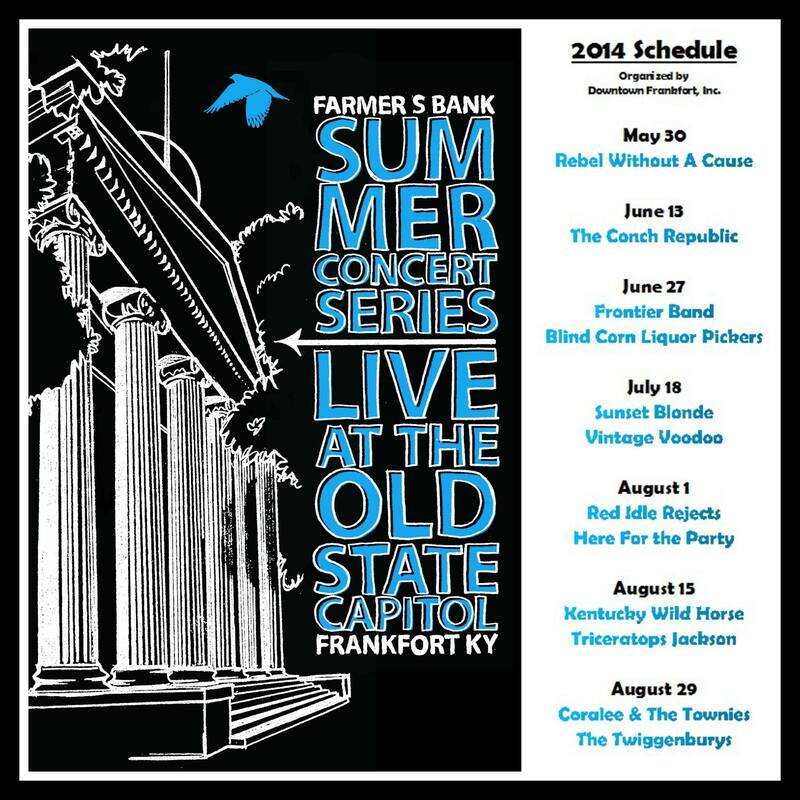 The Ward Oates Amphitheater, along with Frankfort Parks, Recreation and Historic Sites, has scheduled the lunchtime summer concert series for this year. Among the talent returning include Ben Lacy & Alan McKenzie, Dave Shelton, Sammy Coulter, the Jeff Barnes Band, Murphy’s Echo and Bonnie Reeves and Ronnie. New to the lineup is Nick Dittmeier & The Sawdusters. 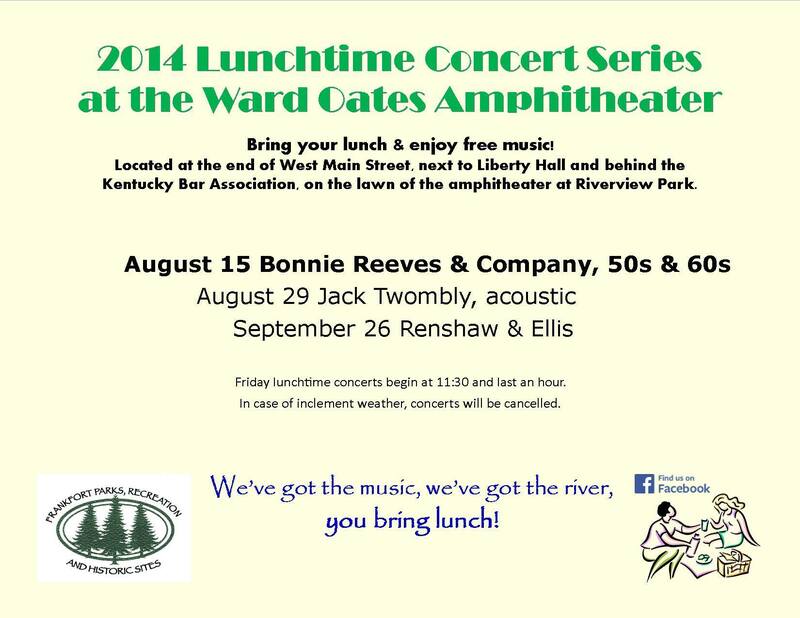 The popular lunchtime concert series is FREE for the public to attend and are held at the Ward Oates Amphitheater, located at the end of West Main Street (next to the Liberty Hall gardens and behind the Kentucky Bar Association), where the Riverview Trail begins. Bring a lawn chair or picnic blanket, your lunch or snacks, and your favorite beverage and enjoy the lawn at the amphitheater at Riverview Park. Come support your favorite local talent, or discover a new love for a different genre of music. So mark your calendars NOW and share this with your family, friends and coworkers! 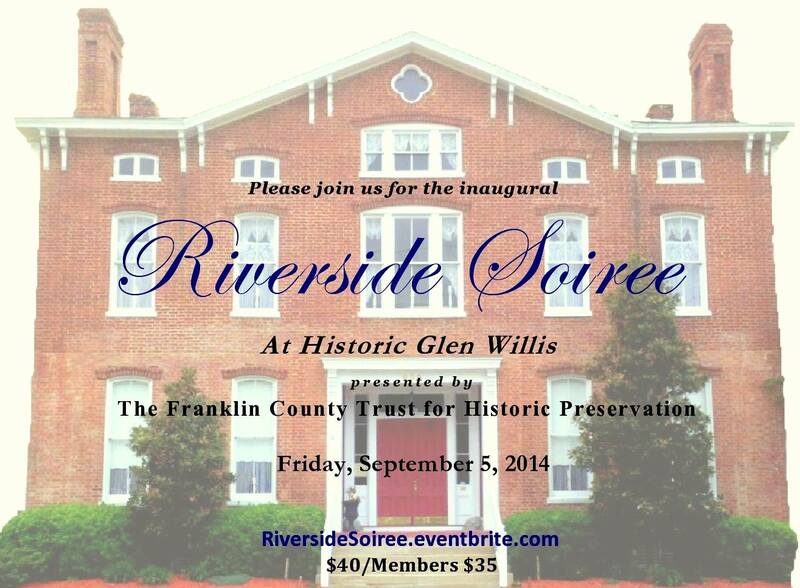 6:00 – 9:00 pm – Open House at the Liberty Hall Historic Site, 202 Wilkinson St. Liberty Hall will host an open house during the run of Two Loves and a River, 6:00-7:00 p.m. The first floor will be open for playgoers, and will feature a display of eight original Paul Sawyier paintings from the Liberty Hall collections. FREE event. Info: www.libertyhall.org or 227-2560. Paul Sawyier had a close, personal connection to the Brown family and is seen here with Hord and Sam Brown at Coney Island, New York in 1900. Hord and Sam were grandsons of Orlando Brown. Tintype LHHS Collections. 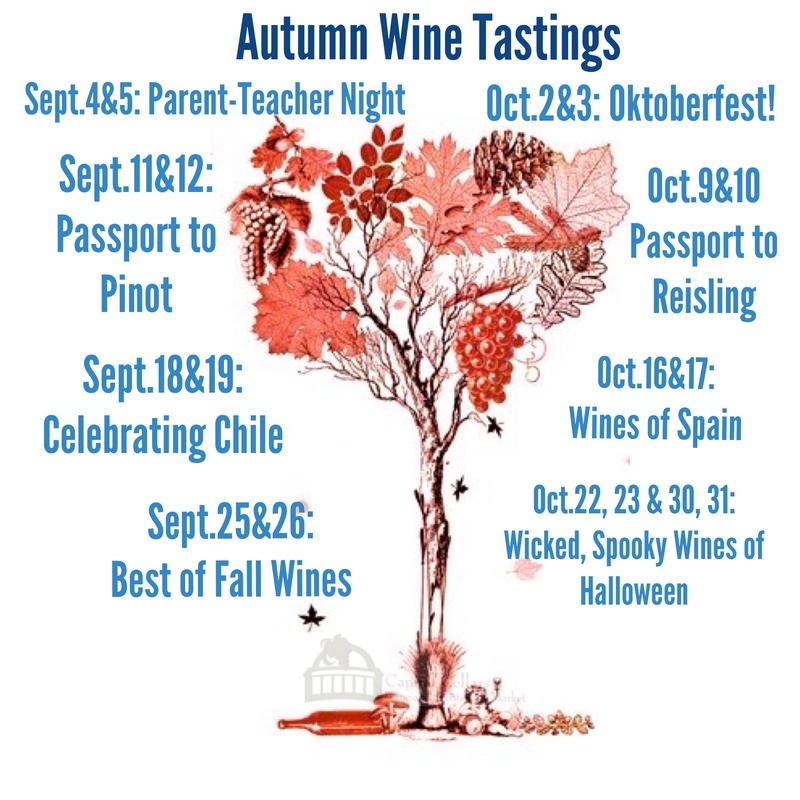 6:30 – 8:30 pm – “Sip & Savor” Fridays, Prodigy Vineyards and Winery, winning wines and the glass is included for free. Featured Artist: Nate Jones will be playing FREE Live Music at the Tasting Room. 7:00 pm – 9:30 pm – Two Loves and a River, a new play by Don Coffey about Kentucky’s favorite artist, Paul Sawyier, 7:00 p.m. at the Ward Oates Amphitheatre (Located at River View Park on West Main St behind Liberty Hall) For tickets/more info contact the Frankfort Department of Parks, Recreation and Historic Sites at 696-9127. Tickets ONLY $5 Adult and $3 Senior/Student. Check out Capital Living’s article and photos from the final dress rehearsal HERE!!! 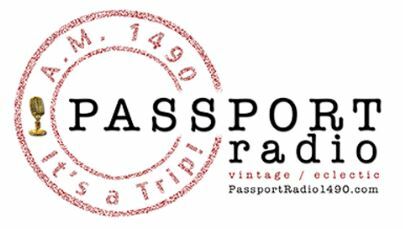 7:00 – 10:00 pm – St. Clair Live! Enjoy live music outside on the Bricks of St. Clair Street featuring Bison Cain with Jaret Ellis. 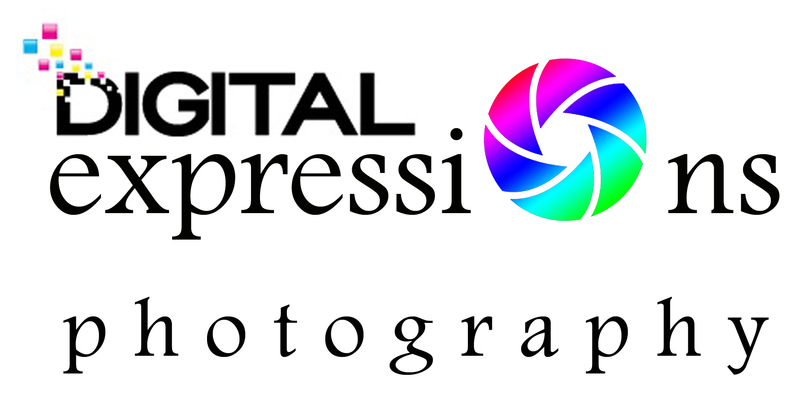 Sponsored by Serafini’s, La Fiesta Grande and the Brick Alley! Due to unforeseen circumstances The SAMMY COULTER SHOW featuring Sammy Coulter will not be at Longshots tonight. 7:30 – 9:30 pm – THE SAMMY COULTER SHOW featuring Sammy Coulter at the Rhonda Gauthier Fine Art Gallery. Come on down tonight and enjoy soulful Jazz and adult contemporary music. Tonight ONLY, purchase a CD or digital download card for 50% OFF!!! Mention you saw him on Capital Living!!! 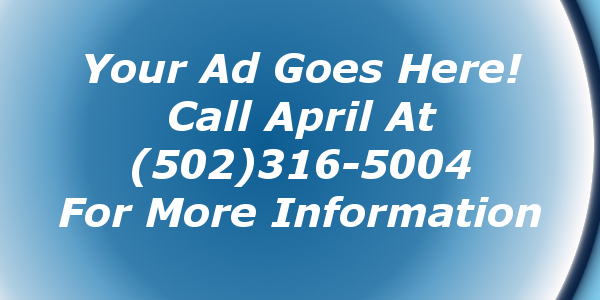 115 Bridge Street, Call 502-320-3856 for show information. WildSide at The Brick Alley, 325 St. Clair. Info: 875-2559. Jockey JAMES LONG of Kentucky horse racing fame, had a dream after retiring from the track: to provide a relaxing, comfortable place where friends and patrons could enjoy an adult beverage & listen to the area’s great talent. He and his wife realized that dream earlier this year when they opened Longshots Cocktail Lounge. Continuing with their Friday Jazz Series, on August 29, from 8 to 11pm, Longshots will present The Sammy Coulter Show, starring Sammy Coulter. Coulter, a Louisville native who now calls Frankfort home, performs a mix of old standards, jazz/rock, blues & adult contemporary & will knock your socks off with his powerhouse, blue eyed soul vocals. If you haven’t caught one of Sammy’s shows recently you owe it to yourself to discover what others already know– it’s showtime from the first song to the last. Something many don’t know is that Sammy recently attracted the ear of WORLD FAMOUS producer, Peter Sullivan (the one who introduced Tom Jones to the world). Sullivan & Coulter are now working together in artist development. Happy Independence Day from Capital Living! The Great Buffalo Chase 5k, Buffalo Trace Distillery, It’s the race with a view. Walk or run our thirteenth annual 5K Race that winds through the scenic grounds of the historic Distillery. Cash prizes for top 3 men and women. Race begins at 8:00 a.m. $15 prior to June 25. $20 day of race. Limited to first 1,000 registrants. Register online at buffalotracedistillery.com/events starting Apr. 1st.The Annual Great Buffalo Chase will be July 4th beginning 8 a.m. This year’s course will once again start on distillery grounds and wind through historic aging warehouses, production facilities and lots of beautiful scenery before finishing up at the gift shop. T-shirts will be given to all runners. Registration begins at 7:00 a.m. on July 4, 2014. Packet Pick up and pre-registration will also be available on July 3, 2014 in the Visitor’s Center from 4:00 p.m. to 8:00 p.m. Proceeds from the race will again go towards funding VFW Post 4075’s Annual Fourth of July fireworks show. Post 4075 has sponsored the fireworks show in Franklin County for over 40 years. Please fill out the registration forms below. 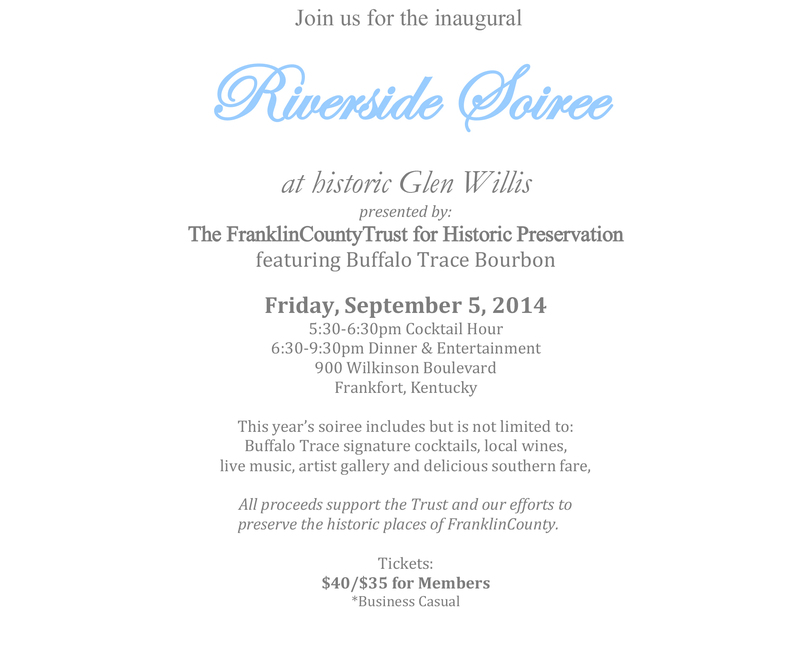 Registrations forms are also available at Buffalo Trace Distillery as well as at numerous Frankfort-area locations. Registration is limited to first 1000 registrants. Runners can also obtain a form by contacting Sarah Webb at sarahwebb@buffalotrace.com. Please feel free to dress in festive patriotic attire. Minors accepting prize money may affect their eligibility status. Registration is $15 if submitted by June 25, 2014 and $20 day of race. Please Click Here to view The Great Buffalo Chase brochure with more details, including prize money and a map of the race course. 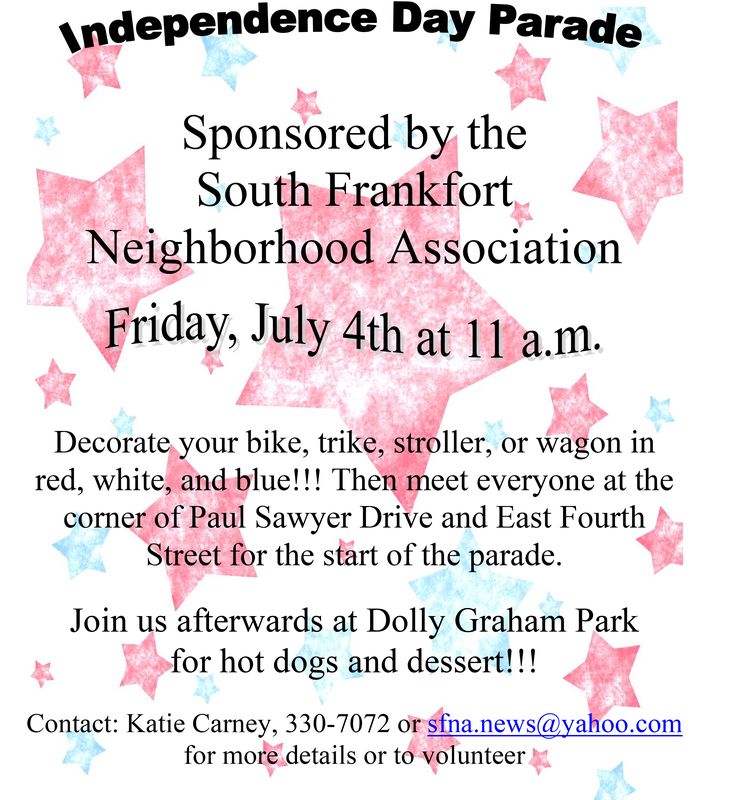 11:00 am – The South Frankfort Neighborhood Association invites everyone young at heart to join in the annual 4th of July parade! Dust off and decorate your bicycle, tricycle, stroller, wagon, or person and meet on the corner of Paul Sawyier Drive and East 4th Street about 11:00 a.m. Afterwards, meet at Dolly Graham Park on East Second Street for a picnic lunch complete with frozen treats for the kiddos! For additional information or to volunteer for the event please e-mail at sfna.news@yahoo.com or call Katie at 330-7072. 2:00 – 4:00 pm – Old-Fashioned 4th of July, Liberty Hall will open its doors on Friday, July 4th, to welcome the public to this annual free event with activities and games for the whole family, including croquet, corn hole, and “Quoits”, an early type of ring toss. Bubble blowing, rolling hoops, prize games, and a flag-making craft activity will be available for all ages. Free tours of Liberty Hall’s first floor will be available, along with free lemonade and watermelon! Come meet “Froggy” from 104.9, who will be celebrating the holiday in historic costume. To beat the heat, have a patriotic popsicle, and take a run through the sprinklers when Liberty Hall will turn on its large irrigation system! 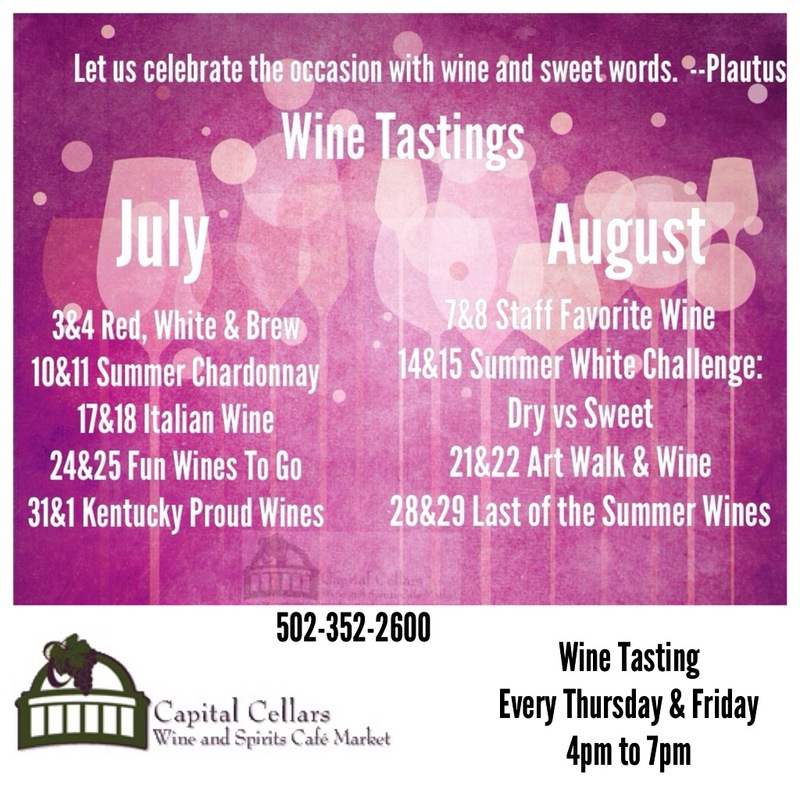 4:00 – 7:00 pm – Red, White and Brew, Wine & Beer Wine Tasting, Capital Cellars, 227 W Broadway. Info: 352-2600… Try LUNCH at Capital Cellars, 10:00 am – 2:00 pm daily. Serving sandwiches, salads and homemade soups! 7:00 – 10:00 pm – Saint Clair Live! Live Music on the Bricks of Saint Clair Street, Featuring the Keith Hubbard and Friends with Bill May. Sponsored by Serafini’s, La Fiesta Grande (The Little Monkey) and the Brick Alley. 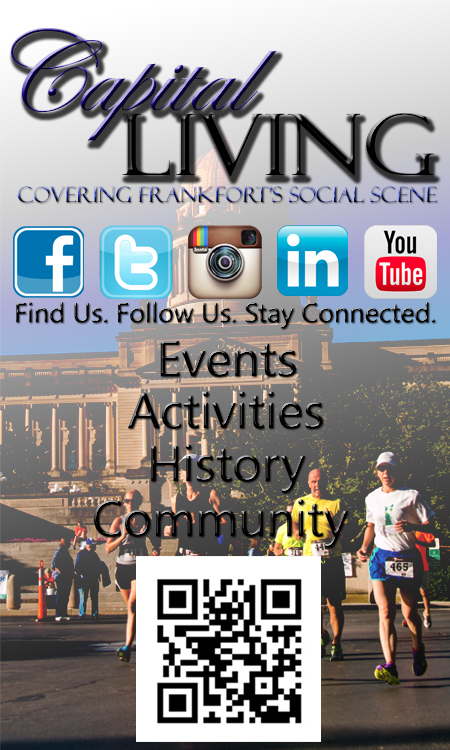 9:00 pm – City of Frankfort Fireworks, Want to watch the fireworks? SFNA has once again requested that the top level of the Capitol Annex parking garage be closed to vehicular parking. We want to provide as safe of an environment as we can for our families in town to watch the spectacular fireworks show the city puts on. 9:30 pm – Fireworks, beginning at Capitol View Park. 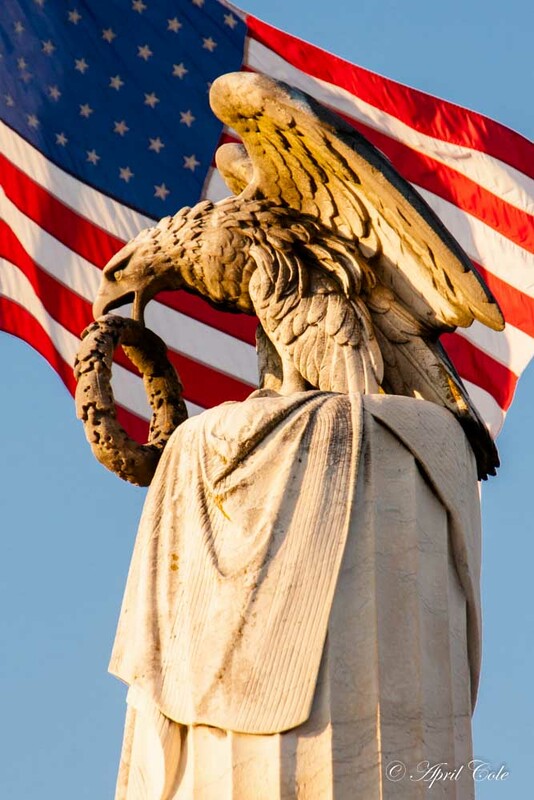 The City of Frankfort, Buffalo Trace Distillery and the Frankfort/Franklin County Tourism Commission encourage you to come to Capitol View Park on July 4th to enjoy a fireworks display, and to celebrate the 200th anniversary of “The Star Spangled Banner,” our national anthem. A free BBQ dinner will be available for veterans and their families beginning at 7pm. For details and reservations, contact VFW Post 4075 at 502.227.2483. Please note: Parking will not be allowed on the East-West Connector or on Glenn’s Creek Road. On Friday, May 23rd, the Ward Oates Amphitheater kicked off it’s lunchtime concert series with The Sammy Coulter Show featuring Sammy Coulter. Young and old, families and friends, professionals and even a local school came to enjoy a free afternoon concert provided by Frankfort Parks, Recreation and Historic Sites. Sammy provided entertainment for everyone with cover songs recognized by older listeners and appreciated by the younger ones, as well as new original compositions like “Eyes of the Night”. 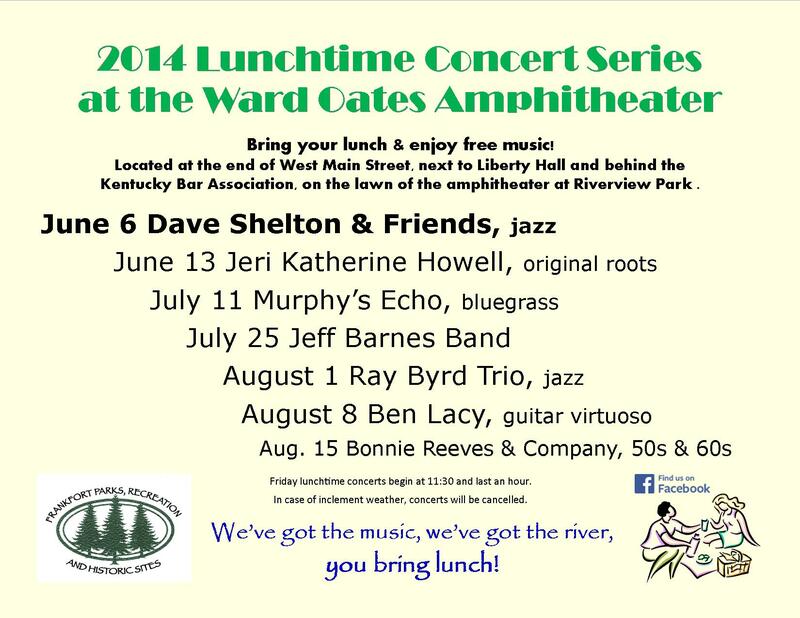 “LIKE” the Ward Oates Amphitheater on Facebook HERE and keep up with the latest news on their lunchtime concerts. All concerts are free and open to the public and run from 11:30 am to 12:30 pm. Bring your lunch. Bring a blanket or use one of the many seats under tents provided. Bring a friend. 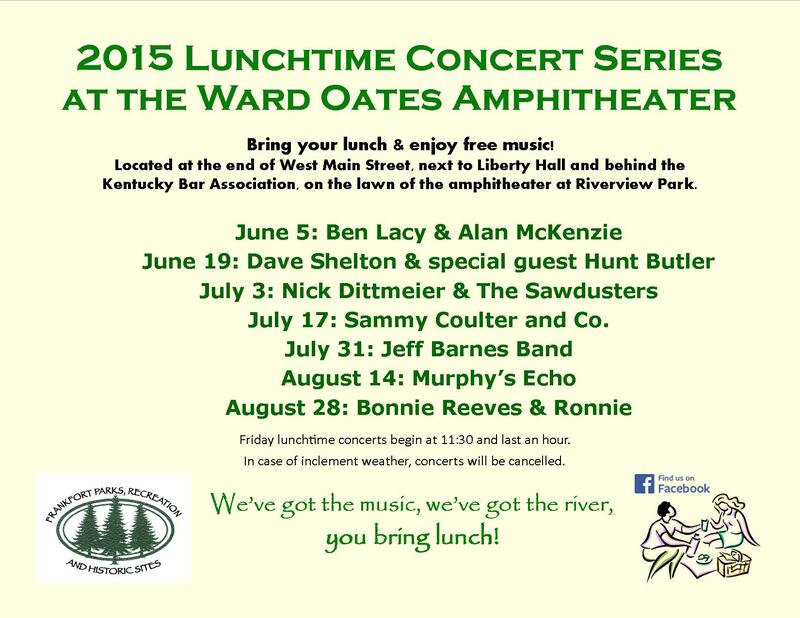 Come down and enjoy the Ward Oates Amphitheater throughout the summer! And keep checking back with Capital Living for the latest on the upcoming artists to perform.